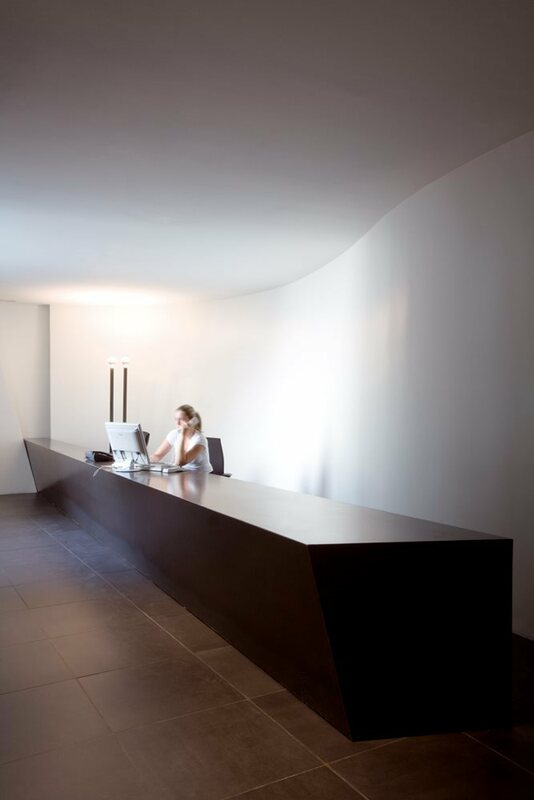 The project combined formal and technical rigour with extreme functionality: neutral chromatic shades for the 166 workstations, the storage and partitions, interspersed with the colours of the drawer units and the seating. 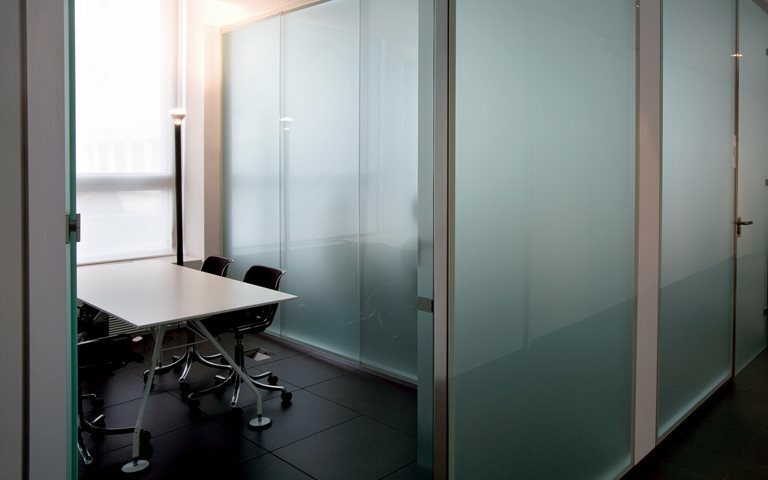 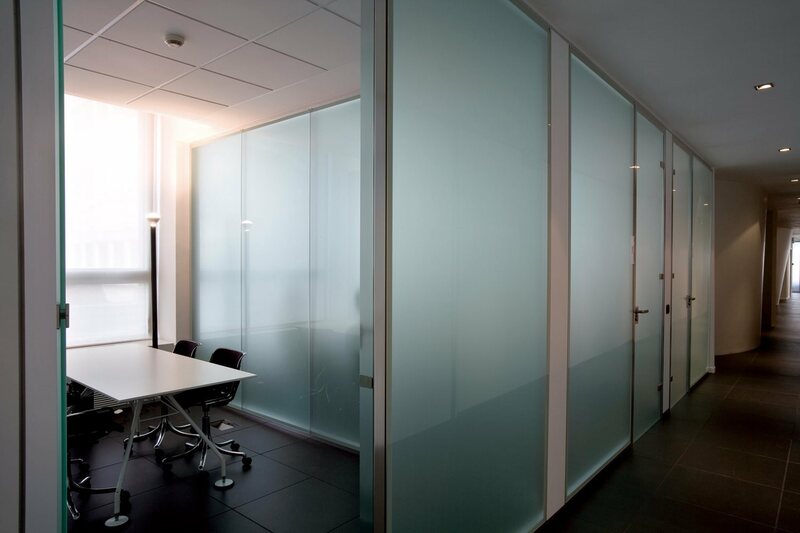 The dividing walls from the WG Partition range, in sand-blasted transparent glass, divided the rooms, creating spaces for group work and discussion. 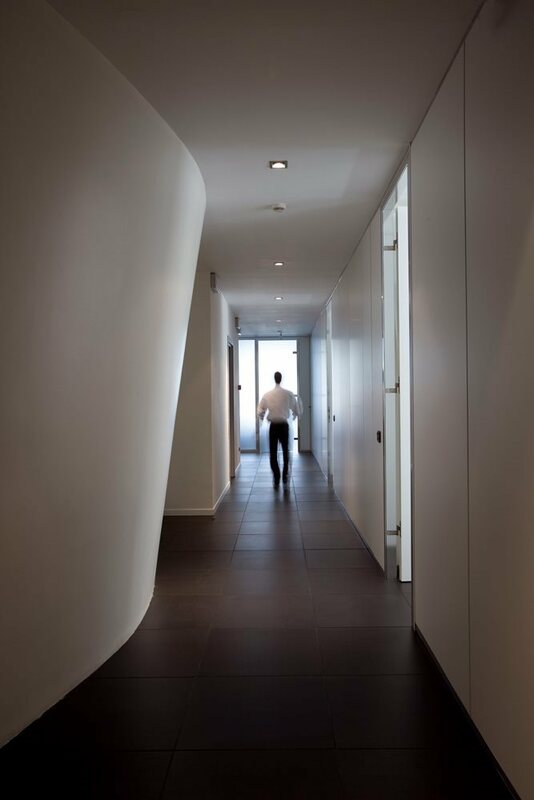 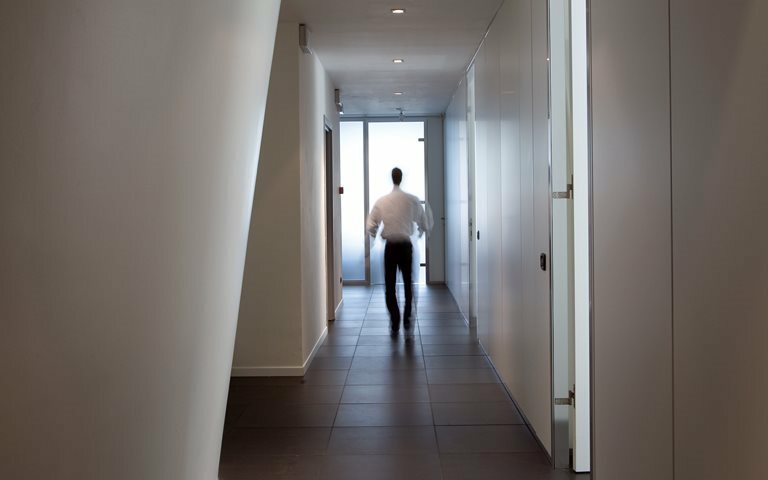 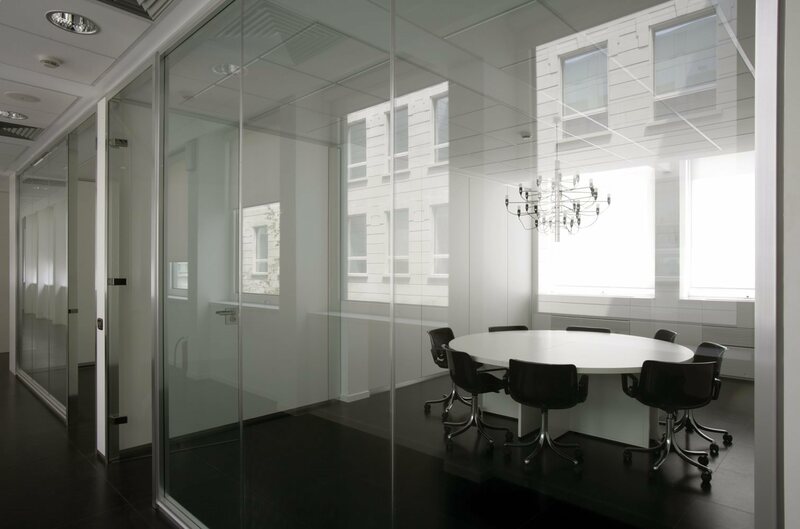 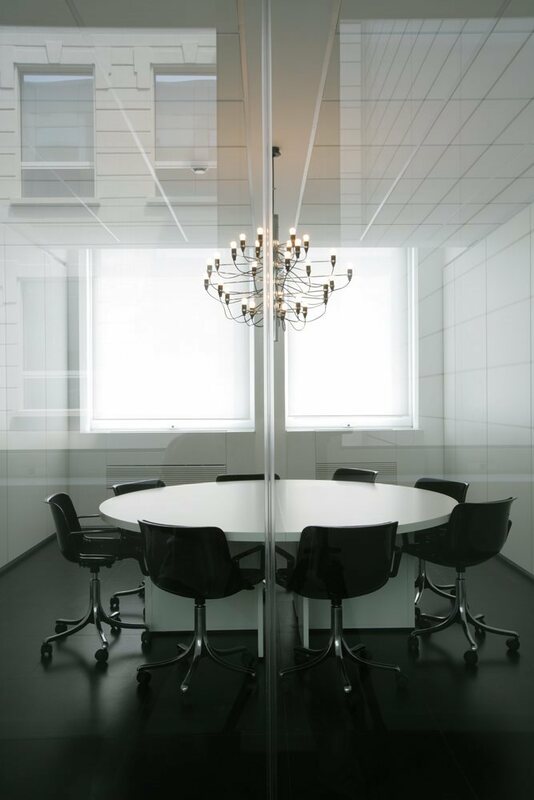 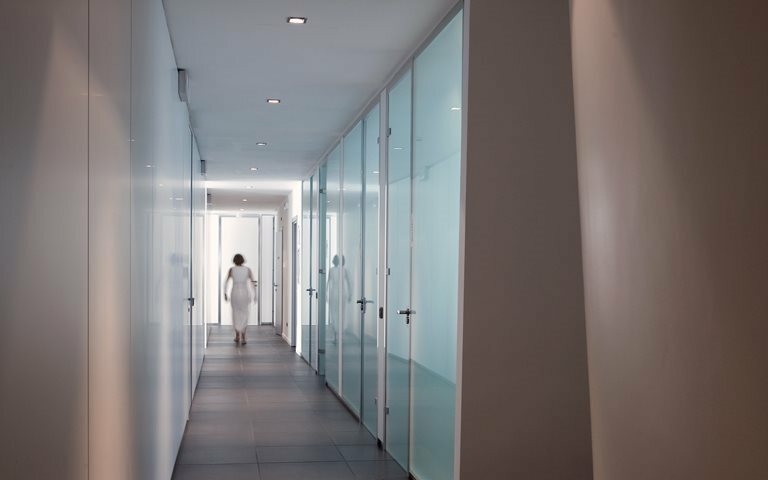 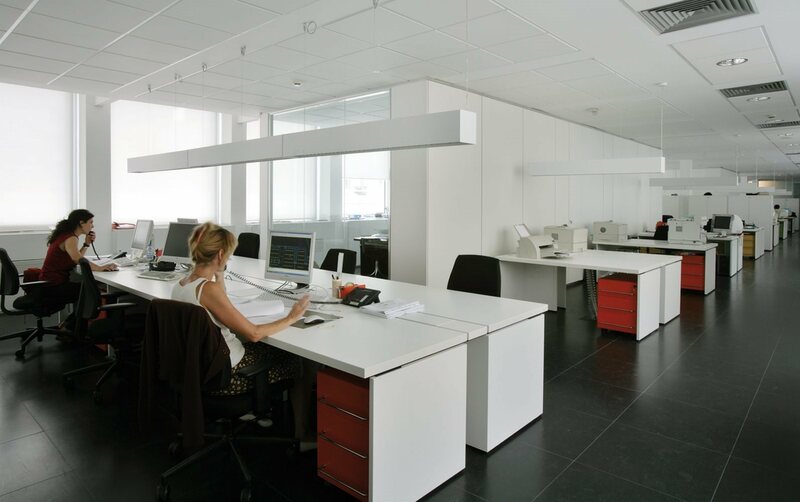 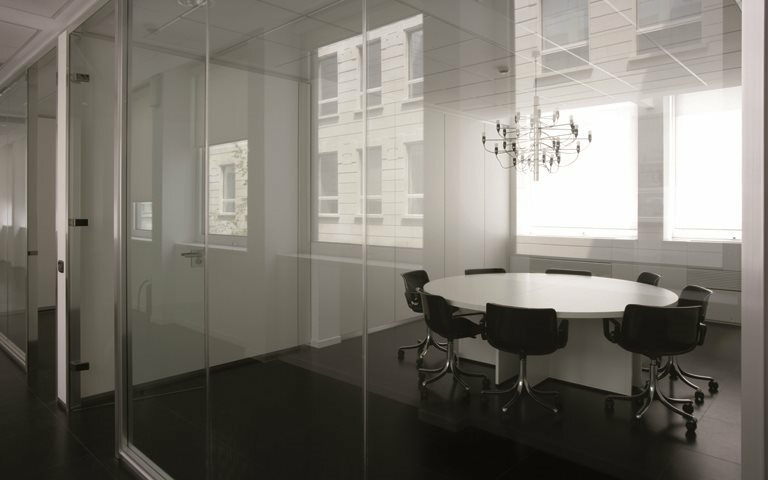 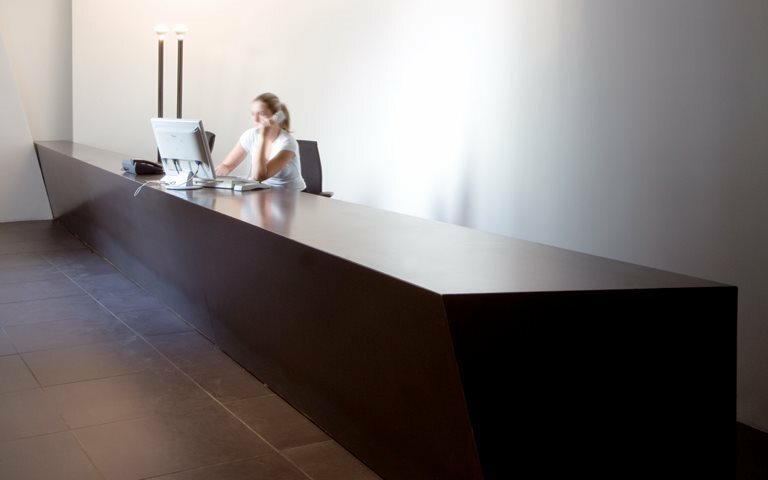 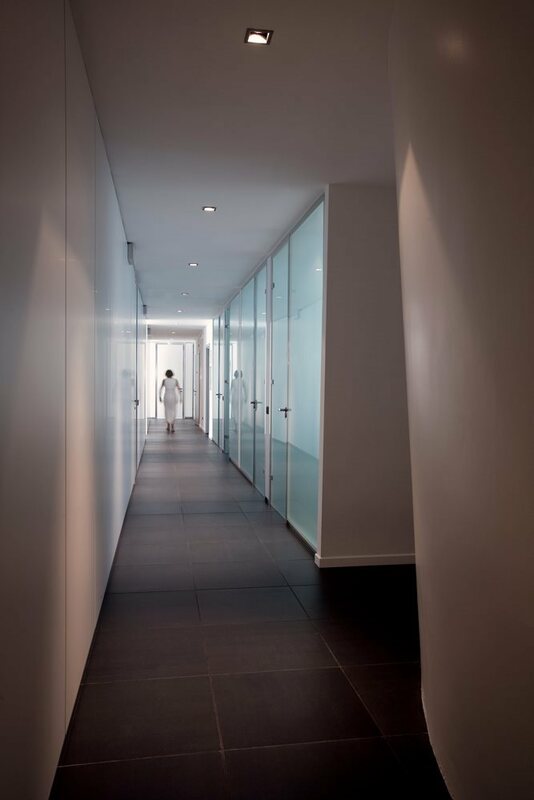 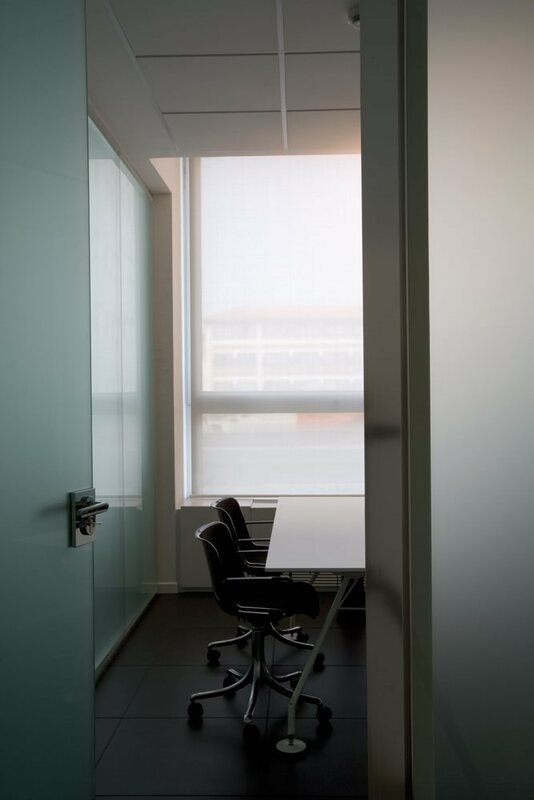 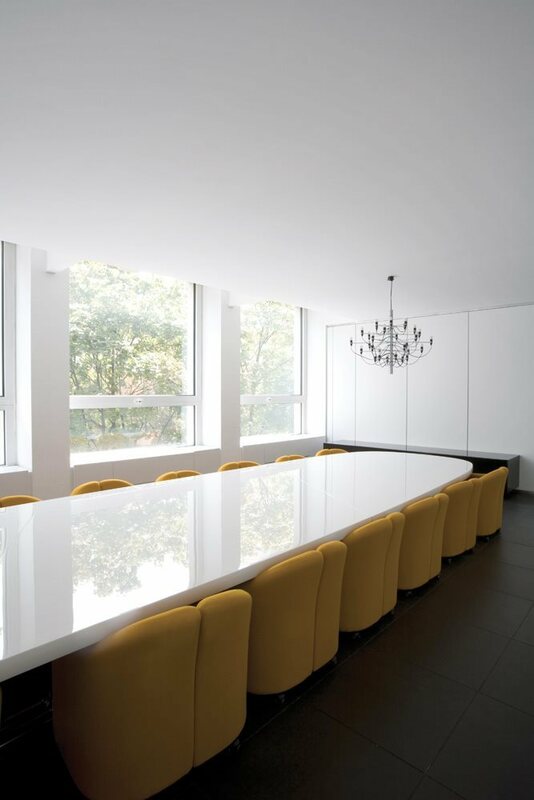 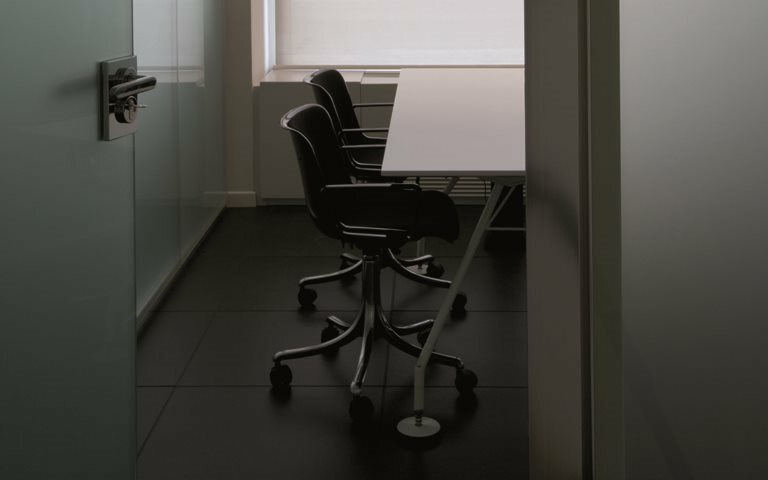 The communal reception, break and meeting areas contrasted the small number of offices, which were completely closed off by the opaque finish Partitions (opaque white lacquered melamine), reserved for management and directors. 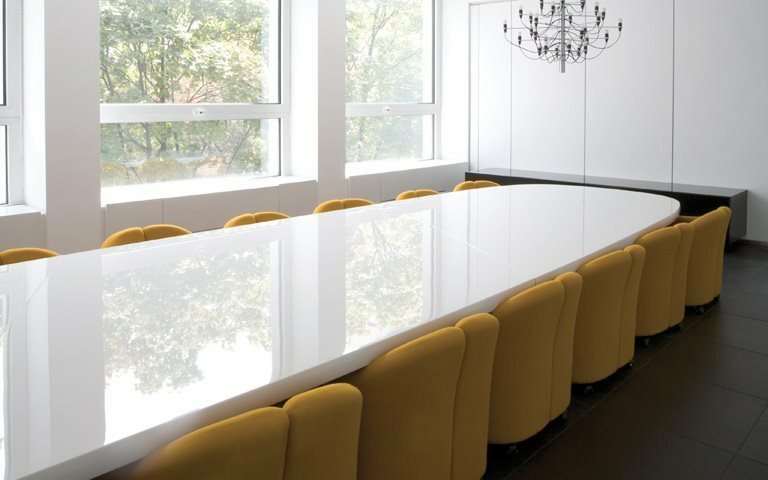 The 100 operational and middle-management workstations and the break area featured tables from the Graphis series, while the executive area and the meeting rooms were furnished with Nomos tables by Foster + Partners. 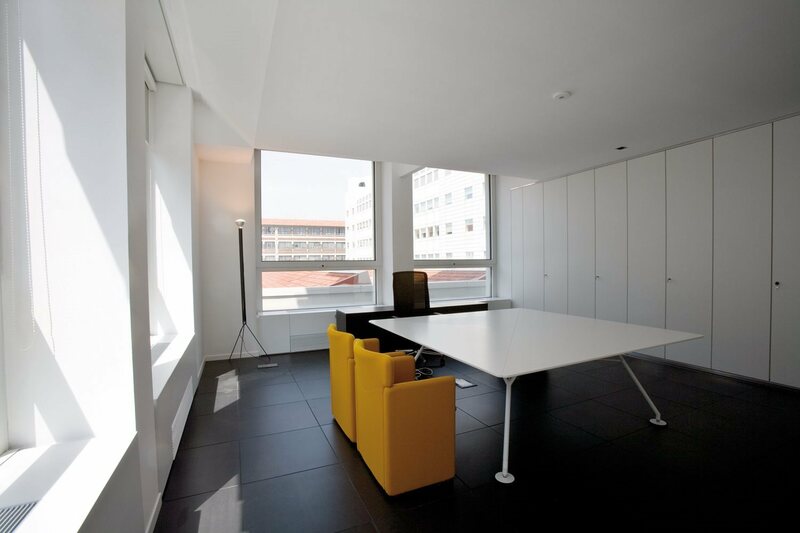 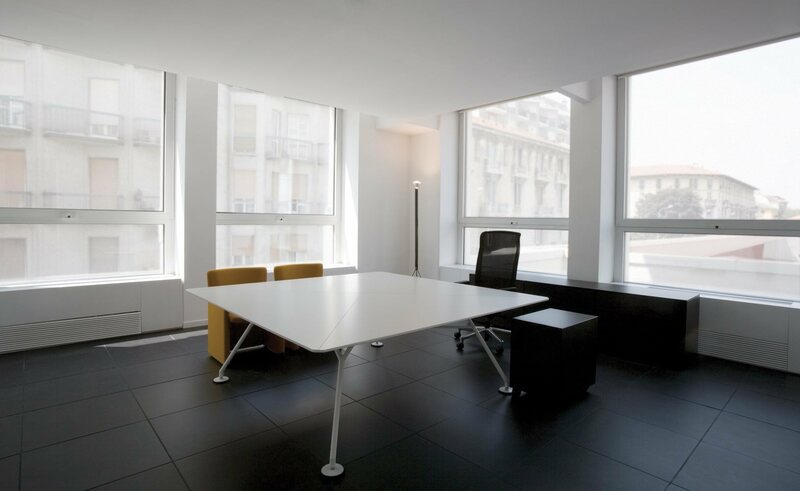 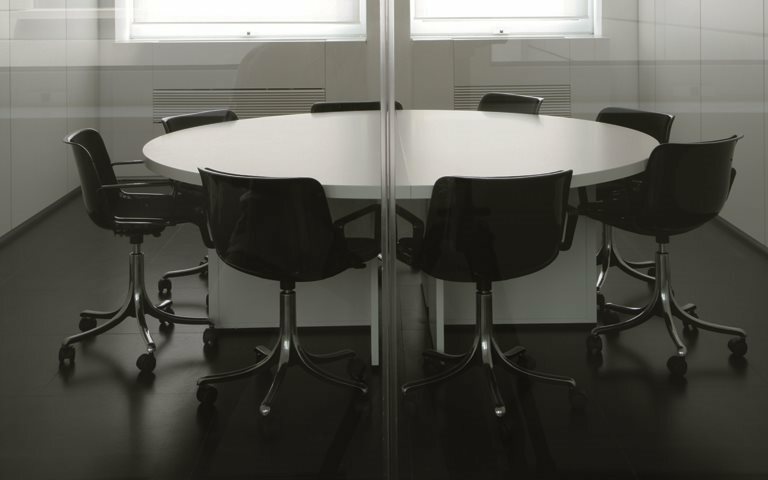 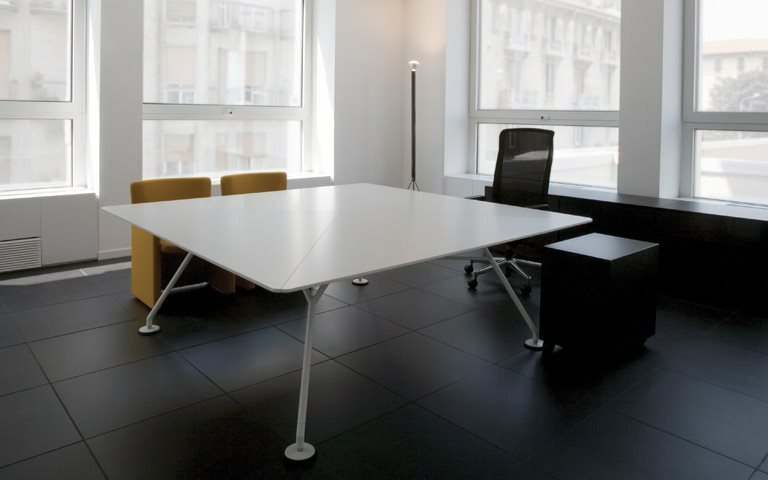 The table used for the main meeting room was the T335 in gloss white lacquer. 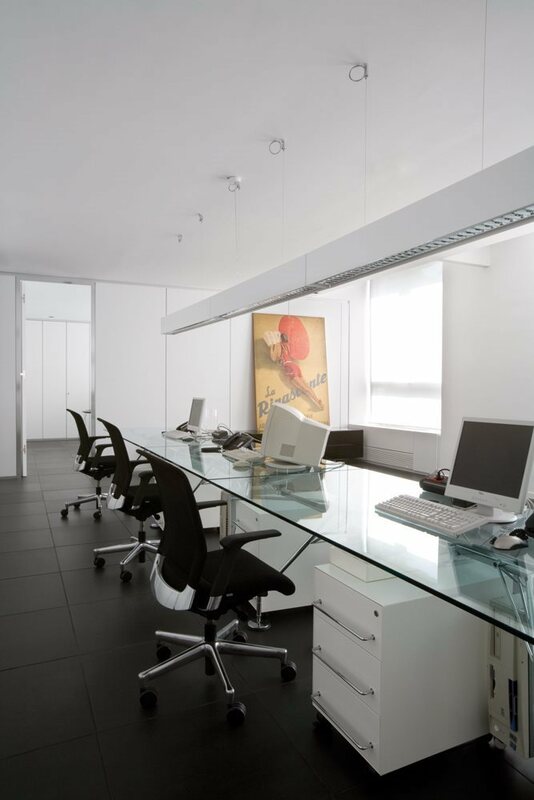 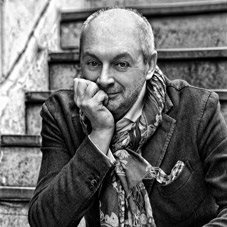 Coloured storage and drawer units from the Basic line were used throughout the operations area, while the executive area featured the Cento furniture designed for Tecno by Lissoni. 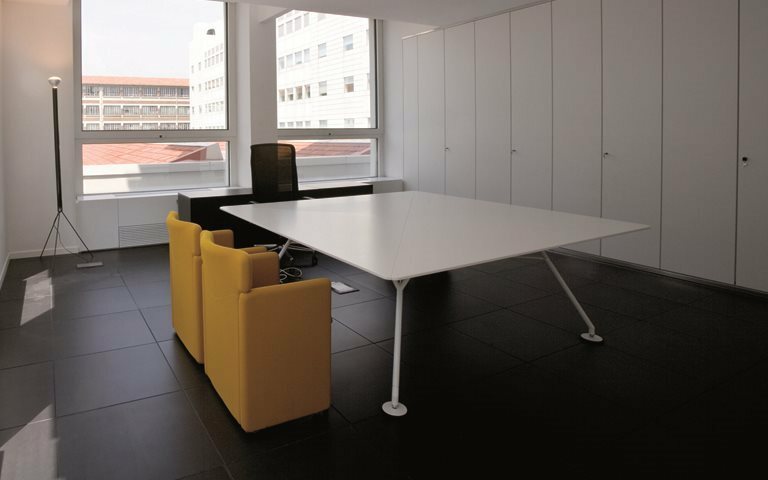 For the seating the PS 142 by Eugenio Gerli, Tlinkit by Gae Aulenti and the PS 148 in the meeting rooms and guest area, and the Modusfor the smaller meeting rooms, break area and welcome area.